Colorful Carmel and Entrada Formations opposed in the Cockscomb along the Cottonwood Canyon. 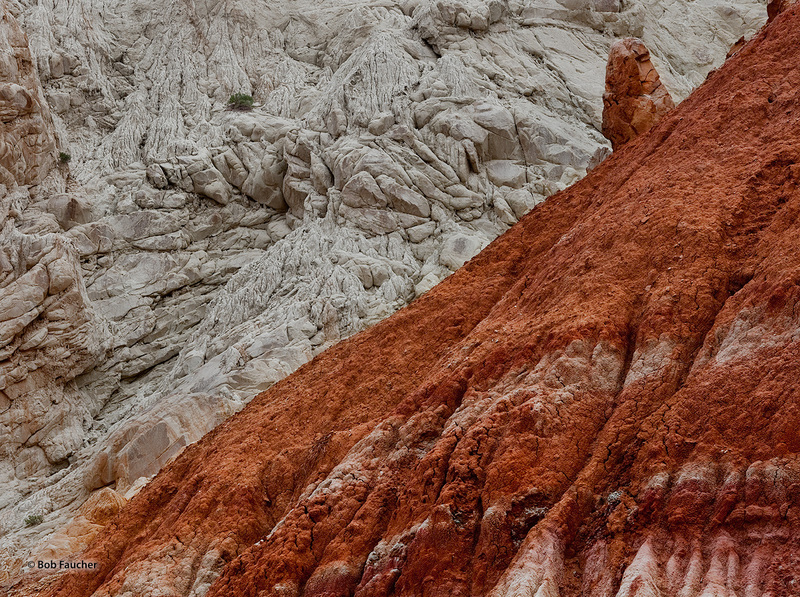 The once horizontal layers of colorful sedimentary rock are now folded, bent, broken and tilted upward. Photo © copyright by Robert Faucher.